It's not that difficult to buy a gun in America. Hundreds of stores sell guns, from big chains like Walmart (WMT) to family-run shops like Ken's Sporting Goods & Liquor Store in Crescent, Ore. Or you can attend one of the dozens of gun shows that take place almost every weekend nationwide. People also regularly buy guns from neighbors or family members. A background check is conducted only in store purchases. There, gun buyers have to fill out a form from the ATF, or the federal Bureau of Alcohol, Tobacco, Firearms and Explosives. *Have you ever been convicted of a misdemeanor crime of domestic violence? *Are you an unlawful user of, or addicted to, marijuana or any other depressant, stimulant, narcotic drug, or any other controlled substance? *Are you a fugitive from justice? *Have you ever been committed to a mental institution? The store then calls the FBI, which runs a background check on the person through the National Instant Criminal Background Check System, also known as NICS. The background check can just take minutes. NICS scans federal databases like the National Crime Information Center and Interstate Identification Index for information. If a purchaser has been convicted of a felony, or misdemeanors with sentences exceeding two years, or has been declared "mentally defective" by a court, then he or she won't pass the background check. However, denials are rare, occurring less than 1% of the time. "More than 100 million such checks have been made in the last decade, leading to more than 700,000 denials," the FBI says on its web site. But gun buyers don't have to go through a background check when they make a purchase at a gun show. Most Americans live somewhere near a gun show. The web site www.gunshows-usa.com lists 29 gun shows scheduled for this coming Father's Day weekend, from Las Vegas and Philadelphia to Hickory, N.C. and Salmon, Idaho. You won't find them in cities like New York, Chicago and Washington, D.C., where gun laws are far more restrictive. Senator Dianne Feinstein, a Democrat from California, and President Obama tried to eliminate the gun show loophole in 2013, with a bill that would have expanded background checks. But Congress didn't pass it. The President's effort came after the killing of 26 children and teachers at Sandy Hook Elementary school in Connecticut. 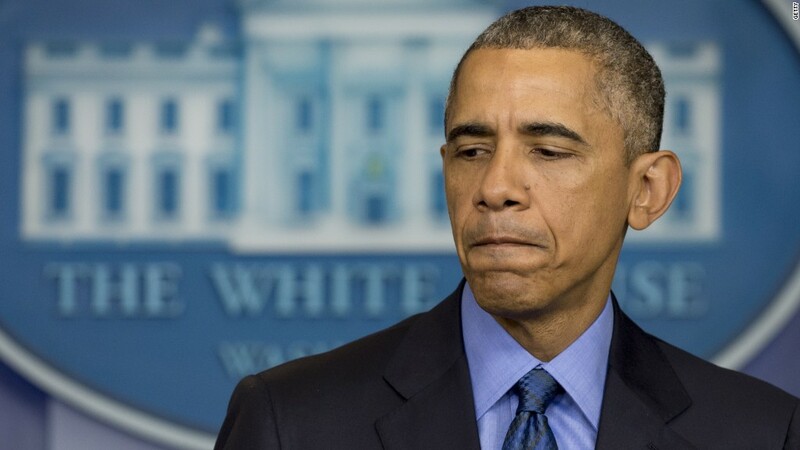 After this week's gun violence at a church in Charleston, South Carolina, where a white man killed nine African Americans in a racially motivated attack, Obama hinted that he might try again. "At some point, we as a country will have to reckon with the fact that this kind of mass violence does not happen in other advanced countries," he said, in a speech. "It is in our power to do something about it." The killer, Dylann Roof, bought his .45-caliber Glock at a gun store in Charleston, where he would have been required to pass a background check. Though he had been arrested earlier this year for trespassing and drug possession, he apparently met the legal criteria. Roof also displayed racist symbols on Facebook (FB), but the FBI said that kind of information would not come up in a background check, since the database includes information on prohibited persons as defined in the Gun Control Act.